Looking for a delicious family restaurant that fits your budget? 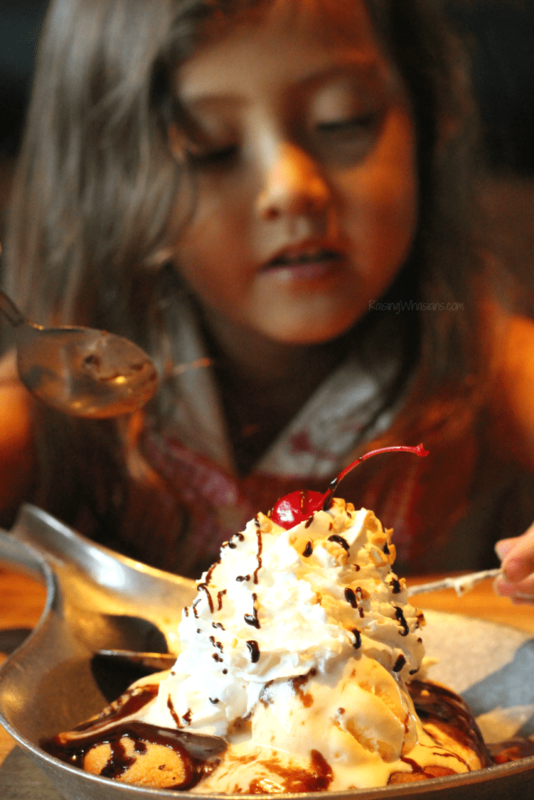 Check out why your family should eat at Cheddar’s Scratch Kitchen. This post is sponsored by Cheddar’s. All yummy opinions are my own. When my husband originally bought our rural home (about a gazillion years ago…or more like 13) our restaurant choices were really limited. Drive-thru anything was considered “luxury.” And a sit-down? Ha! Yeah, those didn’t exist. As our tiny world began to expand I told my husband that I only wanted a few things to make our little world better – a gym, a nail salon, and a GOOD family restaurant. 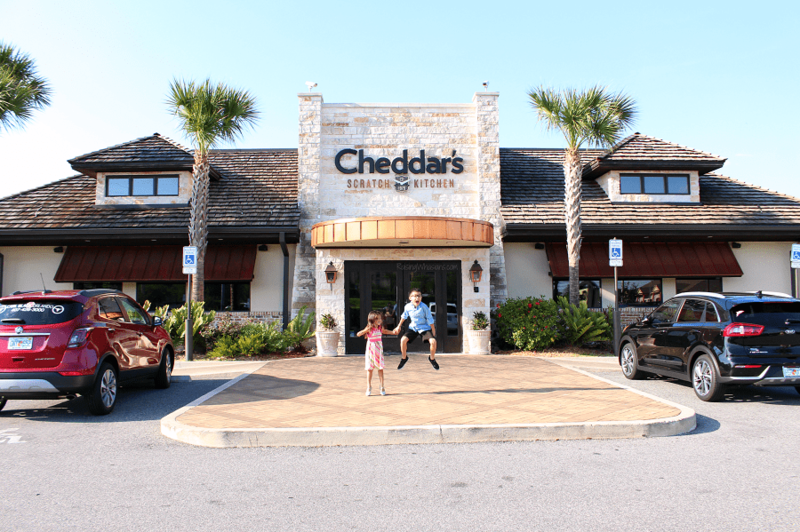 13 years later, I’m still waiting on the gym and nail salon – but I now have a Cheddar’s. And if you’ve never eaten at this Darden restaurant before, you’re in for a treat (monster cookie shaped, of course). 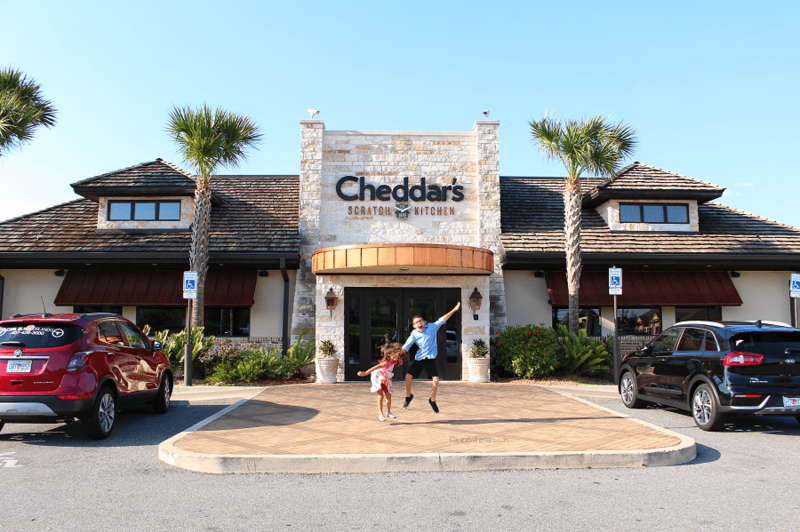 See why your family should eat at Cheddar’s Scratch Kitchen like yesterday and why this family eatery has our family coming back for Sunday lunch, weeknight dinner, Friday date night and basically every meal in between. 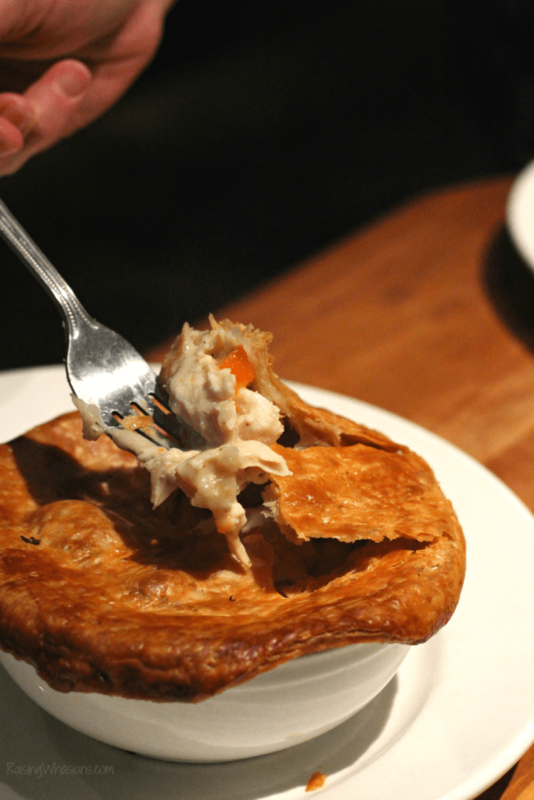 or my husband’s favorite Chicken Pot Pie, we can enjoy all of our favorite foods for less. Just because the meals are affordable, doesn’t mean that we’re sacrificing on deliciousness. There’s a reason why “scratch kitchen” is in the name. Cheddar’s prides on making sure the home cooked taste you love is baked into every meal on the menu. 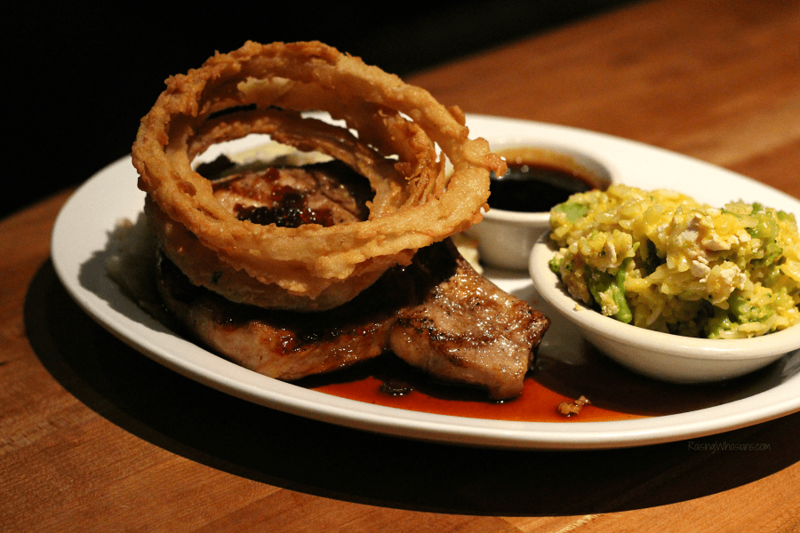 Try the new Bourbon Glazed Pork Chop with mashed potatoes, homemade onion rings and a side for $10.99. 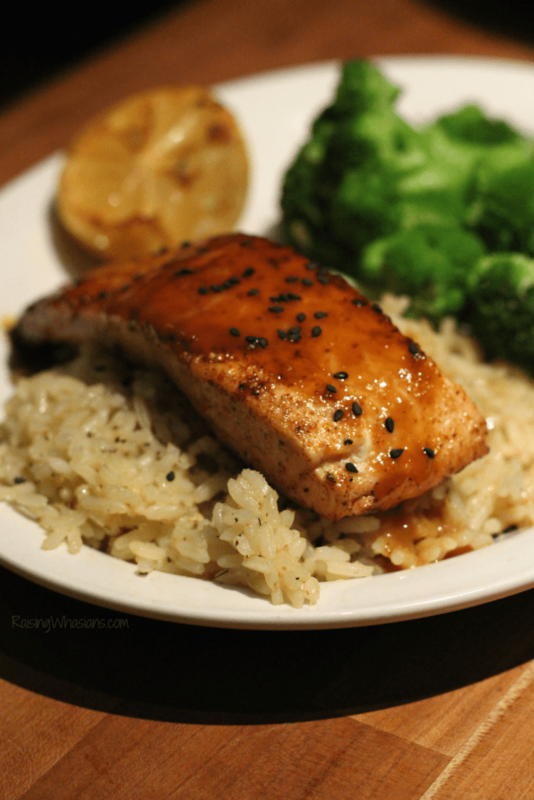 Seriously, that glaze is one of my favorite sauces of all time. I don’t know about you, but when I dine with my family – no plate is ever “your plate.” We’re big on sharing and eating off each other’s plates, which is why having a selection of delicious appetizers is a must! With 11 different appetizer choices, we certainly had enough plates to go around. 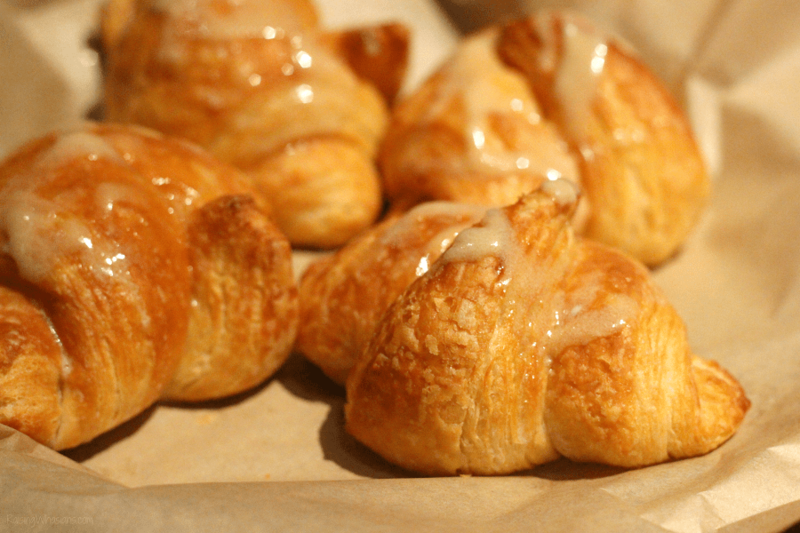 The Honey Butter Croissants have flaky sweet goodness in every bite. A must-try! Do you dip for dips? 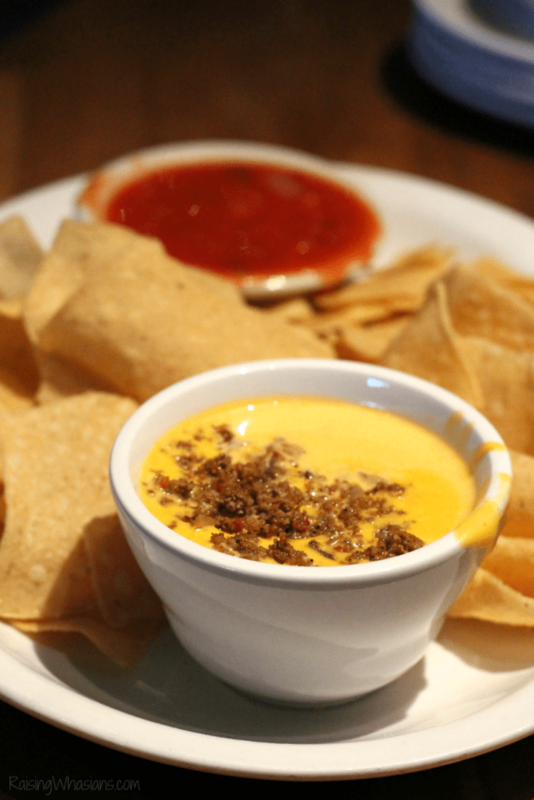 We love love love the chips and homemade queso (ask for the free seasoned ground beef in yours – so good) and the Santa Fe Spinach Dip! Be sure to join the Cheddar’s EClub and get FREE Chips & Homemade Queso too! Cheddar’s Legendary Monster Cookie is not just a dessert, y’all. It’s a way of life. 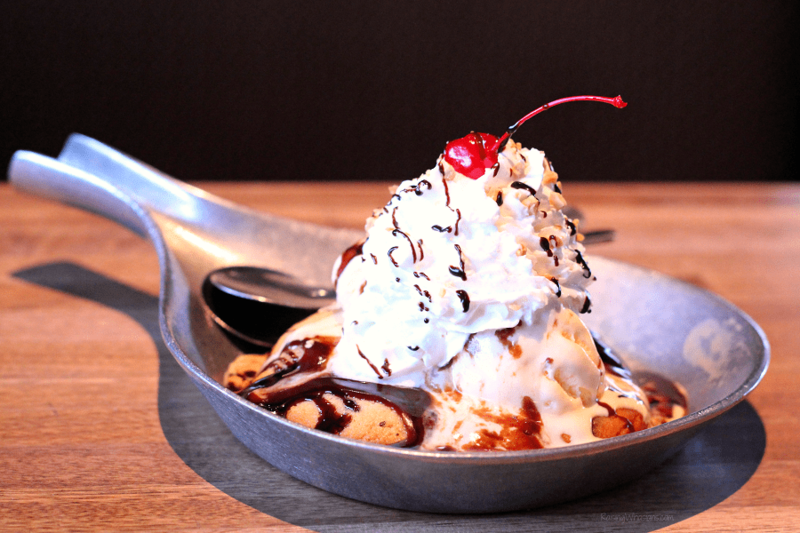 This amazing $4.99 treat is baked to order (takes about 10 minutes to prepare), comes in it own little skillet and will be gone before you can say “dig in.” A giant soft baked chocolate chip cookie topped with vanilla ice cream, hot fudge, whipped cream, nuts and a cherry – I promise it is worth the wait. Hands-down the most important part of eating at any restaurant is feeling like our family is welcome. Because when my son is acting wild or my daughter is chatting a mile a minute, I need to know that we are surrounded with people that understand us. 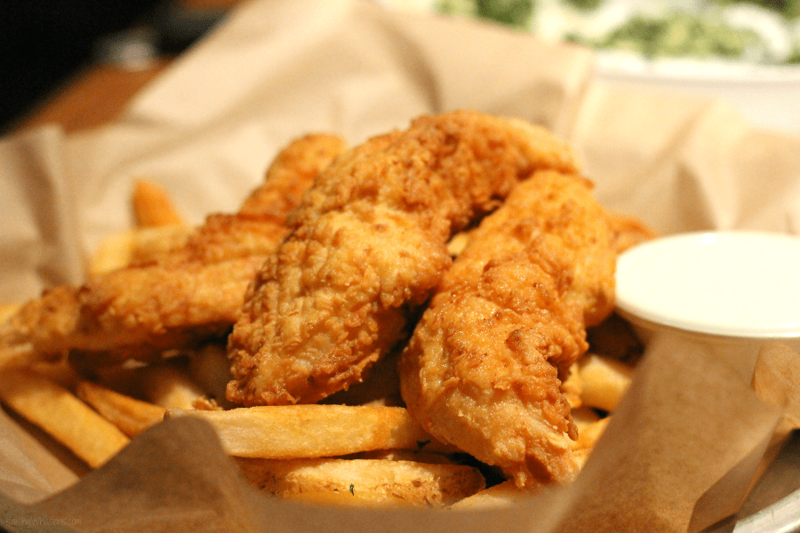 Cheddar’s Scratch Kitchen has a casual relaxed atmosphere, a gigantic fish tank (definitely my kids’ favorite part), comfy booths and lots of other families too. Hungry yet? Head into your local Cheddar’s for delicious scratch-made food at an affordable price. Seriously, this is one of our family’s favorite local restaurant spots. From Sunday lunch to after baseball game weeknight dinner to Friday date night, Cheddar’s is there for our family, keeping the “family” in our important family meal time. In fact, my girl and I just had a girl’s lunch there today (may or may not have been for another Monster Cookie. We’ll never tell.) Be sure to follow Cheddar’s Scratch Kitchen via Facebook, Twitter, and Instagram for the latest new menu options, offers and more. 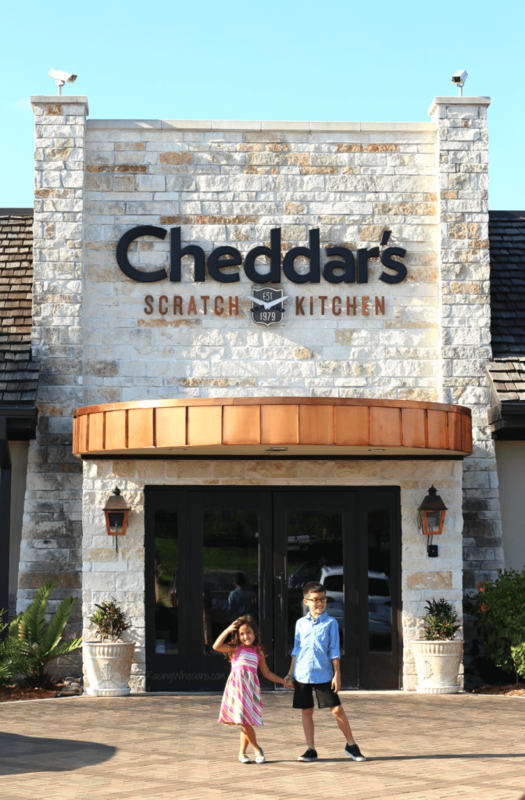 Has your family ever eaten at Cheddar’s Scratch Kitchen? What do you love about eating here? My family was invited to eat at Cheddar’s Scratch Kitchen in exchange for this post. All opinions are my own. Be sure to follow Raising Whasians via Facebook, Twitter, Google, Instagram, Pinterest and YouTube for more delicious family meal ideas, travel tips and more. 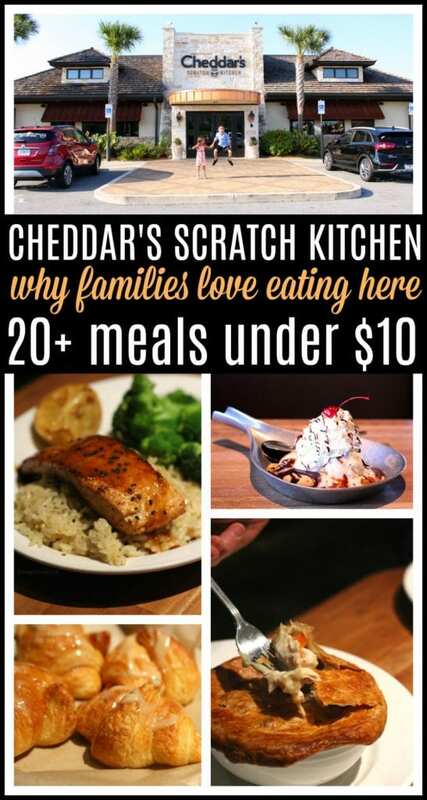 (WHY YOUR FAMILY SHOULD EAT AT CHEDDAR’S SCRATCH KITCHEN) This restaurant sounds like a very nice place to take your family to eat at. I have never heard of them around here where I live. I love Cheddar’s. It is a great place to eat. They have a Cheddars about 60 miles from here. I have always wanted to stop, the food looks so good! The prices dont seem bad at all .